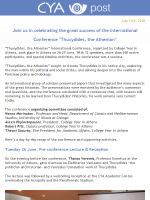 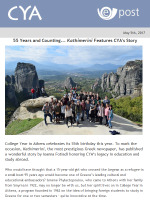 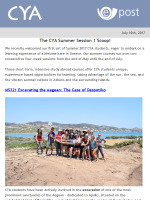 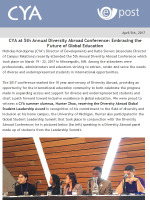 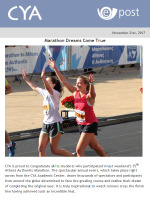 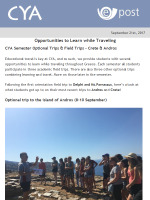 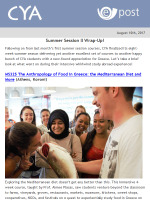 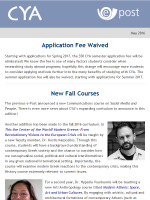 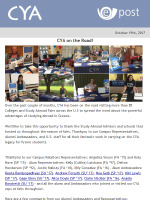 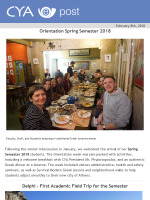 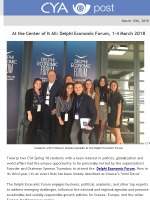 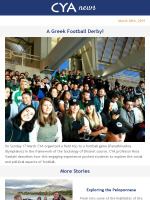 Below you will find an archive of College Year in Athens monthly Newsletter(s) and the College Year in Athens weekly update(s). 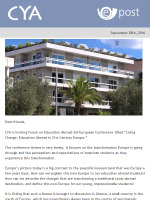 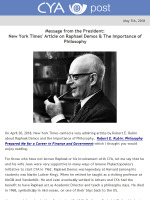 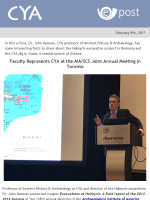 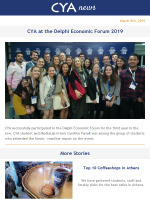 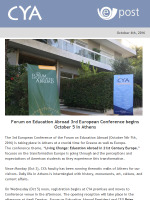 Browse through the issues below, or follow the link located at the bottom of this page to subscribe. 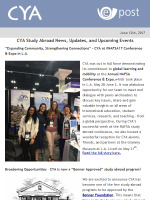 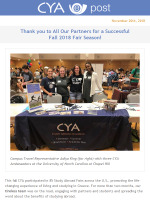 November 1st, 2018 Shai Nickerson: My Study Abroad Story Shai Nickerson (University of North Carolina at Chapel Hill) attended CYA in Spring 2018. 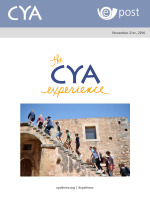 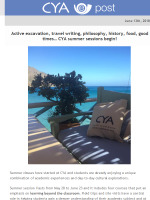 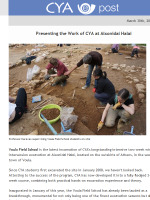 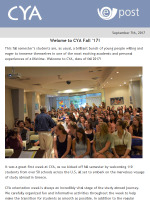 The semester at CYA has been Shai’s first experience outside the US. 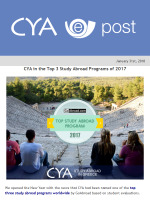 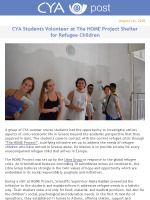 Upon conclusion of her stay in Greece, Shai collected her favourite photos and created an interesting video, describing her life-changing experience with CYA and the country. 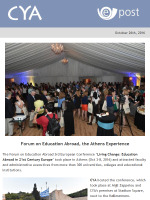 In Shai’s words: “I now have a greater appreciation for other cultures as well as my own. 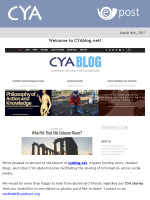 March 6th, 2017 Welcome to CYAblog.net! 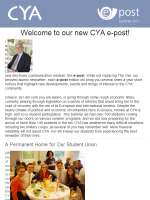 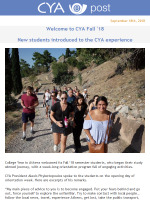 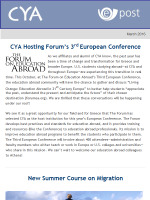 We're pleased to announce the launch of cyablog.net, a space hosting news, student blogs, and other CYA related stories facilitating the sharing of information across social media. 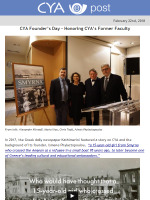 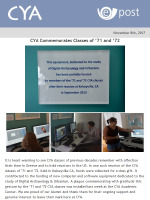 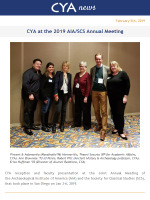 We would be more than happy to hear from alumni and friends regarding any CYA stories that you would like to contribute or photos you'd like to share. 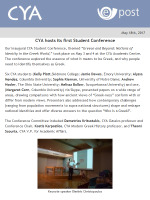 Contact us at: medialab@cyathens.org Please follow us, connect with our social networks, "like" and "share"